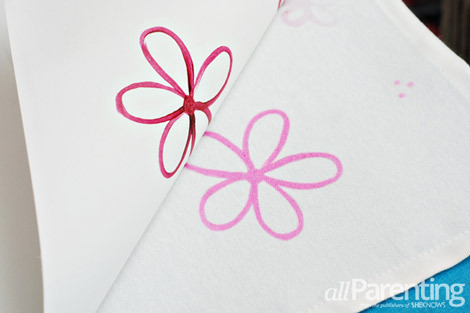 Spruce up boring old cloth napkins and placemats by adding your own designs! Ink Effects fabric paint will transfer your painted design from paper to fabric with the help of an iron. 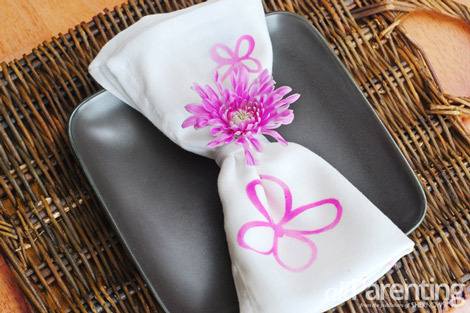 In just a few minutes you can give a cute and custom design to plain table linens. 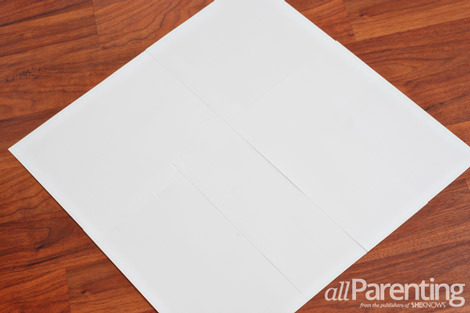 Start by taping pieces of copy paper together to make them the same size as your cloth napkins. My napkins were 20-inch squares, so I taped four pieces of copy paper together to make the paper large enough to cover the entire napkin. 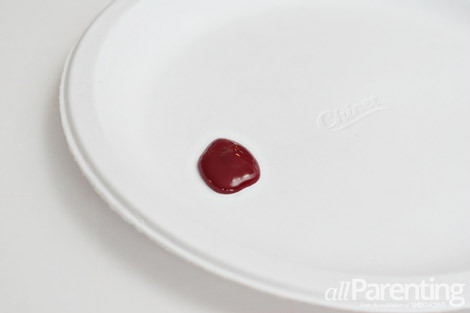 Pour some of the Ink Effects paint onto a paper plate. Dip your paint brush in the paint. 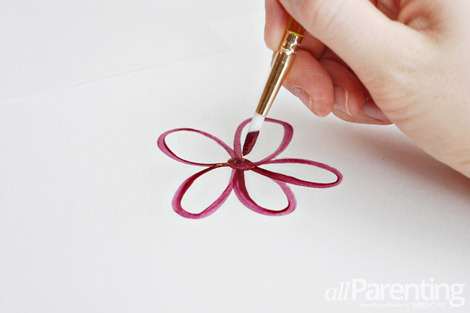 Start painting your design onto the paper. I wanted to make some napkins with polka dots, so I spun my brush in a circle to make the dots. 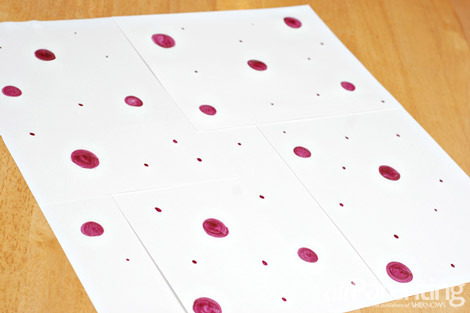 Use different sizes of brushes to make different sizes of dots on the paper. 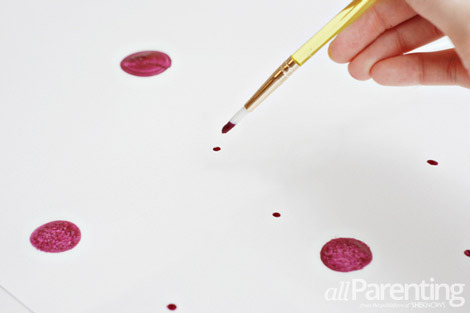 Once your design is complete, set the paper on a flat surface to dry for at least 30 minutes. Get creative with painting different designs. I made a second pattern by painting flowers. Remember that when you transfer the design to fabric, the image will be reversed. Keep this in mind if you are drawing any directional images or if you plan to use lettering. 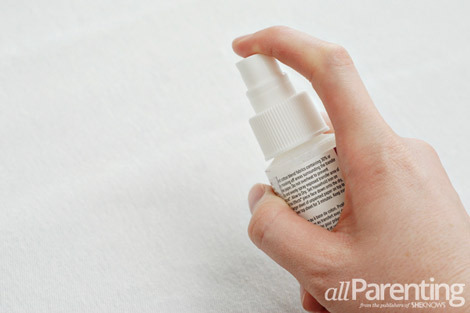 If your fabric is more than 30-percent cotton, you will need to use the Ink Effects Fabric Clear Basecoat. 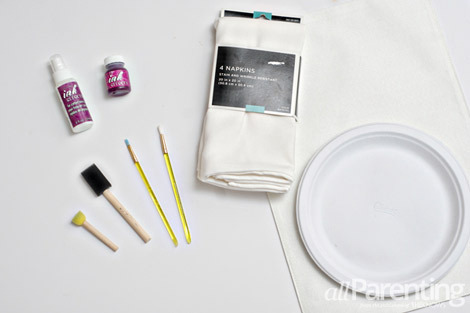 Spray a generous layer of the basecoat onto the fabric, then allow it to dry. 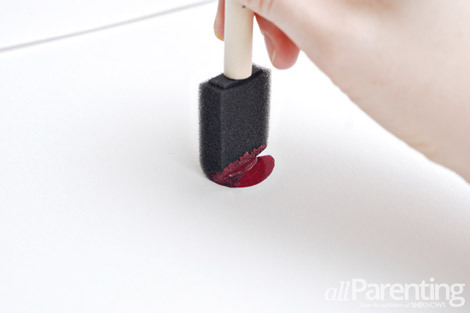 Once the basecoat is dry, lay the paper ink-side down on the cloth napkin. 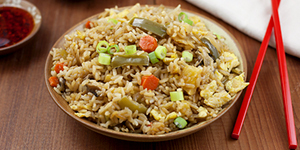 Plug your iron in and set it to high. 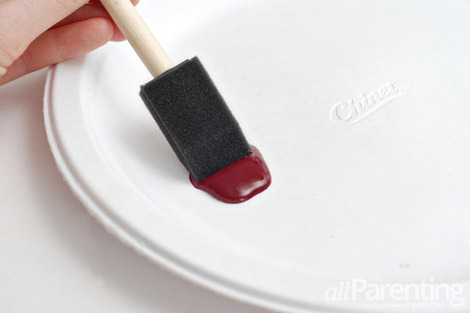 Once the iron is warmed up, lay a second piece of paper between the iron and the painted paper. 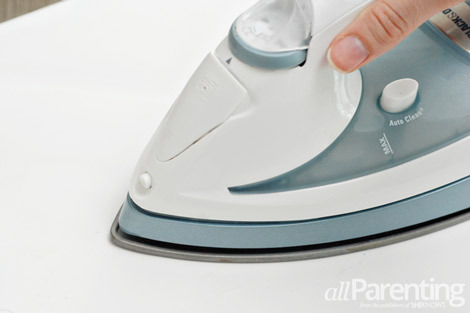 Start ironing the paper (do not use steam) and iron each part of the design for at least 30 seconds. Carefully peel back the paper to make sure the design has transferred all the way. If any part of the design has not transferred, lay the paper back down and iron it for an additional 30 seconds until the design is completely transferred. You can transfer each painted pattern up to three times. Once you have transferred your pattern, your napkins can be washed as usual and then they are ready to use! The Ink Effects paint will not fade with washing.